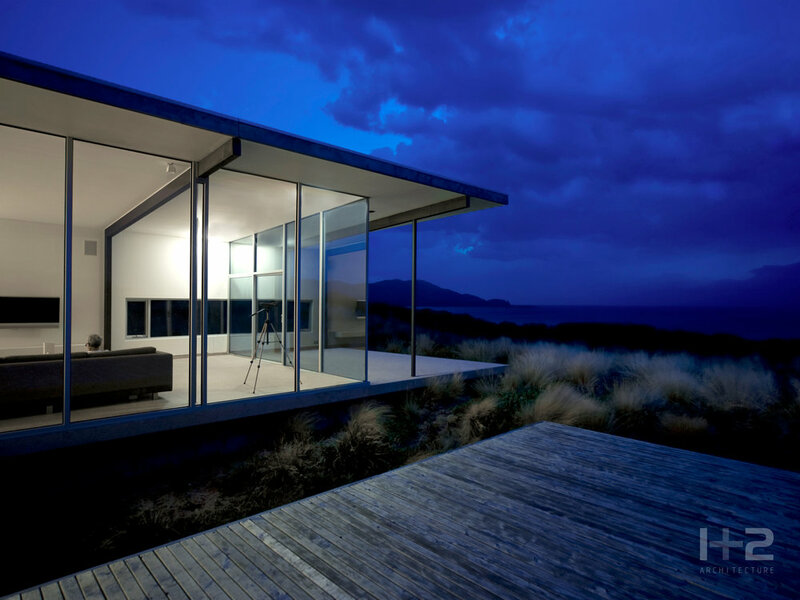 This house is located at Cloudy Bay on the southern end of Bruny Island. Its 33 hectare, beach front site, comprised a combination of pre-disturbed farmland and heath covered coastal dune. 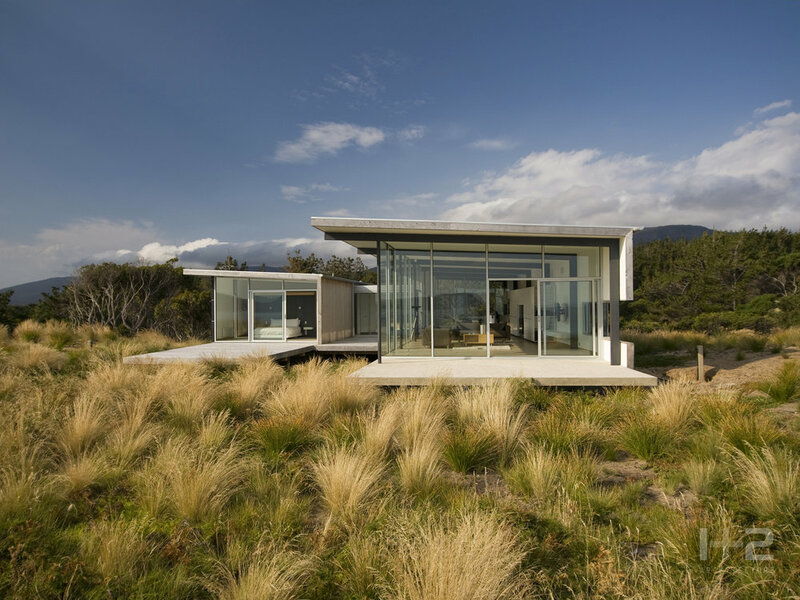 A primary objective of the project was to create an appropriately scaled and sited intervention which minimised impact on its natural environment, while re-generating the pre-disturbed landscape by removing weeds and reintroducing native species. 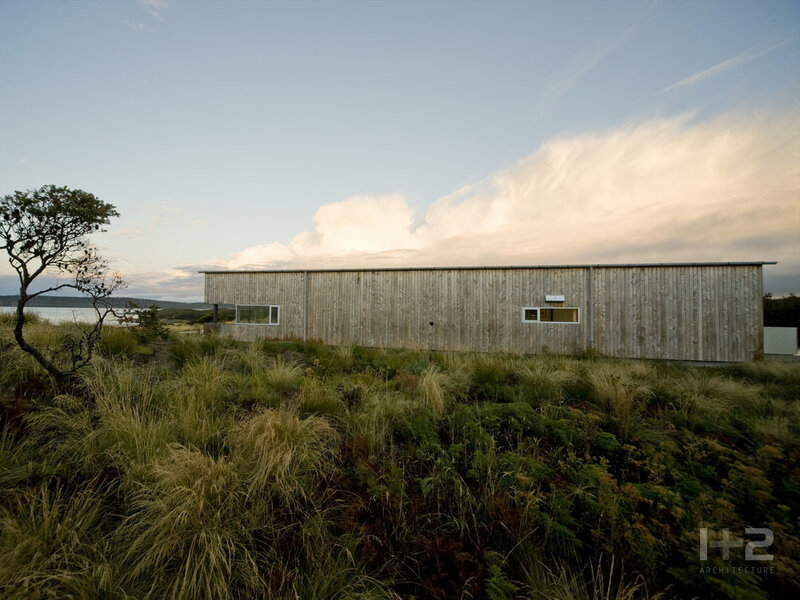 Materials have been chosen for their environmental qualities, fitness for purpose and appropriateness to the site and context, including macrocarpa cladding. This timber, harvested from redundant farm wind breaks, has excellent durability and has been left un-treated and allowed to naturally turn silver grey.